Readability - To read this code, you need to carefully scan for the class names, picking them out from between the <div class="..."></div> boilerplate. And once you're a few levels deep in the markup, it becomes tricky to keep track of which </div> closing tags go with which <div...> opening tags. You start to rely very heavily on IDE features like coloring different indentation levels or highlighting the matching tag for you to keep track of where you are, and in larger documents it can require a lot of scrolling on top of those features. HTML5 is not new. That's an understatement; an initial working draft was released for public comment in January of 2008 (11 years ago! ), and it became a full-fledged W3C recommendation in October of 2014, 4½ years ago. So, like, it's been around for a while. So here's the thing: everyone agrees that this is a nice pattern to follow. And that includes the folks at the WHATWG and W3C, who standardized the pattern into four new elements in HTML5 with very clear names: <header>, <main>, <footer>, and <section>. 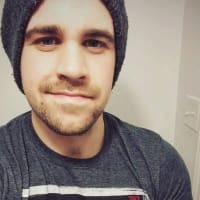 The <header> and <footer> elements are basically twins: they're very similarly defined in the spec and follow the same set of rules about where they're allowed to be used, with the only difference being their semantic purposes: headers go at the beginnings of things, footers go at the ends of things. And by "things", I mean more than just the <body> of your page: this pair of elements are designed to be used within any part of your document that represents a chunk of content with a clear beginning and end. This can include things like forms, articles, sections of articles, posts on a social media site, cards, etc. As a final note, <header>s very often hold the heading element (<h1>-<h6>) for their context. This is not necessary, but can help to group other related elements with the heading, like links, images, or subheadings, and can help maintain a consistent structure even when the heading is the only element in the <header>. The main content area of a document includes content that is unique to that document and excludes content that is repeated across a set of documents such as site navigation links, copyright information, site logos and banners and search forms (unless the document or application’s main function is that of a search form). All that other stuff, logos and search forms and navigation and such, can go in a <header> or <footer> within the <body> but outside of <main>. There must not be more than one visible main element in a document. If more than one main element is present in a document, all other instances must be hidden using the hidden attribute. This is pretty unique. Unlike <header> and <footer> (and most other block elements), <main> can't be used all over the page within arbitrary sectioning content; it should be used once and only once. Or rather, it can be used multiple times in a document, but only one <main> element should be visible at a time; all others must be hidden with the hidden attribute, which basically acts like display: none; in CSS. If you think about it, this suggests a pretty useful pattern for preloading views in an app: create a new <main hidden>, fetch some content that the user is likely to view next (e.g., the next article in a series, the next slide in a slideshow, etc. ), and when the user clicks the link/button to load that view, swap out the current <main> with the preloaded one by toggling the hidden attribute on both. That's so much nicer already! But there's still plenty of work to do. So we've got a basic outline for our page: a header, a footer, and a main content region. Now it's time to add some of that sweet, sweet content. Typically you'll want to break your content down into sections, especially for mass text content like this article, because no one likes reading impenetrable walls of text. That's where <section> comes in. This one is the simplest in terms of rules: structurally speaking, it's basically just a <div> with special semantic meaning. A <section> begins a new "sectioning content" region, so it can have its own <header> and/or <footer>. You know, as a quick aside, the HTML5 spec is actually pretty readable. It's one of the more readable specs out there. Every time I glance at it for a quick answer, I inevitably learn something unexpected and useful, especially if I start clicking links. Give it a try some time! So in short, if you would list this portion of the document in the table of contents, use a <section>. If not, use a <div> or something else. Okay, so we've got a solid structure for our page. Instead of just slinging <div>s all over, we've explicitly marked the main content region of the page, and we've called out headers, footers, and sections. But there's definitely more semantics than that to our document. 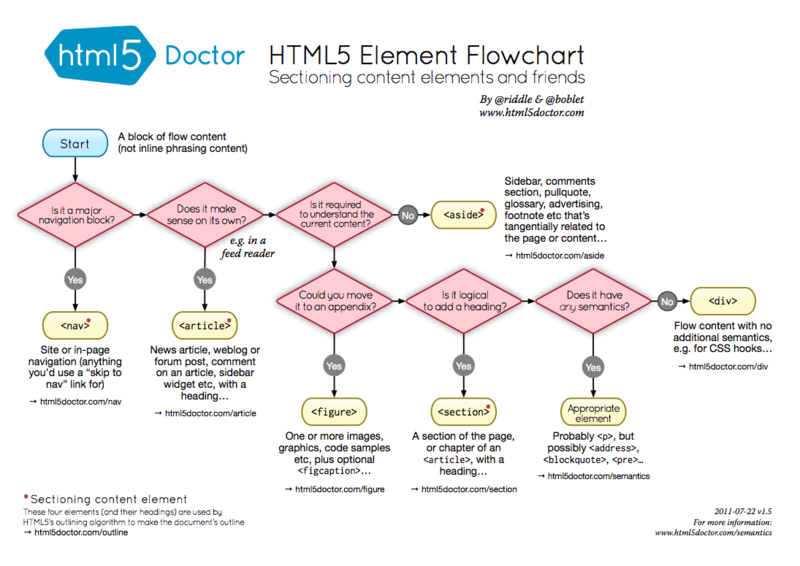 Let's talk about a few of the elements added in HTML5 that communicate content semantics rather than structure. The <article> element is used to represent a fully self-contained region of content, something that could be plucked out of your page and dropped into another and still make sense on its own. This might be a literal article or blog post, but could also be used for a social media post like a tweet or a Facebook wall post. The HTML5 spec recommends that articles always have a heading that identifies what it is, ideally using a heading element (<h1>-<h6>). An <article> can also have <header>, <footer>, and <section> elements, so you really could use it to embed a full document fragment with all the structure it needs within another page. To return to the example from the way up above, let's rewrite the class="article-*" elements using an <article> and some of the other elements we've discussed. Isn't that a ton more readable than the original? And again, not only is it easier to read, it's way more useful for assistive tech; robots can't always figure out your specific class name pattern, but they can follow this structure. This element is a bit more well-known than others. <nav> is designed to clearly identify the main navigation blocks on the page, the groups of links that help the user find their way around the rest of the site (e.g. a site map or list of links in the header) or the current page (e.g. a table of contents). In our example up top, let's apply a <nav> to that group of links in the header. Doesn't change the structure at all, but you know what it is at a glance rather than needing to read and process the class name on a <div> to figure it out, and more importantly the robots can find it too. The last element we'll discuss is <address>. This element is intended to call out contact info, and it's often used in the main page <footer> to markup the mailing address, phone number, customer service email address, etc. for a business. Interestingly, the rules for how to markup the content within an <address> element is left open. The spec mentions that there are several other specs that address this, and it probably is outside the scope of HTML itself to provide that level of granularity. Okay, we've covered a lot, and we've seen a lot of it applied to our example in bits and pieces. But let's put it all together and see what it looks like. If you ask me, that's 100x more readable than the original example, and it's going to be 100x more effective for SEO and accessibility purposes, too. And that's just a start! Like I said, when you start reading the HTML spec, it's tough to stop. It's an incredibly rich language, and I think people underestimate it a little too often. I agree with everyone, very nice and useful post! Especially for me, who I'm not a web developer but I sometimes do some side and personal projects that imply web development! I been doing this for over a year and love it. I feel you should have given some mention to Custom Tags. They help so much in pushing this to the next level. To be honest, I'm pretty unfamiliar with custom elements myself, so I'm not the person to write that article. Sounds like you have some background, so maybe you are! I'd love to read it! Yes custom elements are what I mean. Though there is far more to it than I know or understand (for now). In it's simplest form you can just write a tag as < box>< /box> (or any word you choose) and be able to target that tag as you would any other. All without understanding anything else of the API. The greatest thing about a custom tag is it is blank. No pre-attached css or code like 'p' or 'div' have. Your free to write without having to remember what has what attached. RIght, that's the thing. Those aren't so much "custom elements" as they are "nonstandard elements", because the browser doesn't understand them, and they don't have any functionality backing them. It is true that you can write arbitrary tags in your markup, and IIRC the browser treats them like <span>s by default (which is to say, as generic inline elements), but this isn't standard practice, and it's usually considered a bad idea. A custom tag name indicates to other developers that there's something special about this tag, that it's a component or a proper Custom Element with some JS behind it or something, and it can be very confusing to read markup with lots of nonstandard elements that aren't backed by any other code, especially if they're mixed with actual components that are backed by code. So my recommendation is to instead use a standard element with a class="..." instead of a custom tag name. The only thing that changes in your selector is an extra . before what would have been the element name, and is now a class name. I disagree. If people wish to make assumptions about everything than it is their own fault for messing up. A simple Google check will verify if a tag is standard or custom. Not everything needs to be predefined. If it were the language would never have evolved in the first place. It is people pushing out of the standard practice that evolve the language. If you wish to be confined by such limitations that is your choice. I choose to evolve my coding style by trying new things and creating new concepts. Even in the face of the people's backward concepts of what is and is not proper coding. Alright, please read what I have to say here in full. I need to say something that I feel is very important. I fully respect that you have a different opinion from me on how best to write your markup. And I'm perfectly cool with that; you can write your HTML in whatever way you see fit, and I'll be happy to hear how it works for you, and what benefits you find in it. Genuinely, reading about alternative viewpoints on web development is one of my hobbies, and I almost always find something I like in every one I explore. But please do not turn around and label my attempts to explain the existing standards and best practices of the web platform as "backwards concepts of what is and is not proper coding". Because these are not some arbitrary whims handed down from some oligarchic hierarchy of web gods. These are standards with a huge amount, literally decades, of research, community-wide debate, and iterative revisions behind them, and there are are very good reasons why they exist. It honestly hurts to be accused of trying to "confine" and "limit" people from "trying new things and creating new concepts" simply because I'm explaining the background and advantages of the specs that are out there. My point was never that nonstandard tags are evil and you should feel bad for using them. But you started the conversation by suggesting that I should have promoted nonstandard elements as a good practice that "help[s] so much in pushing this to the next level." The fact that you said that nonstandard tags can build on the techniques that I discussed in my article tells me that I did a poor job of emphasizing the reasons why we use standardized semantic tags. Semantic tags are not primarily about improving code readability. If that was the case, there would have been no point in defining a spec for them; we could just standardize the use of arbitrary tag names and let common patterns develop within the community, like we have with CSS class names. 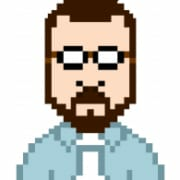 My point in this thread was to let you know that there is a very real difference between arbitrary nonstandard elements, which have no defined semantics or behavior and can't be used by assistive tech or web crawlers, and true custom elements, for which the developer has explicitly defined the behavior and semantics for the browser. Because here's the thing: the semantic web isn't just a matter of preference or style or convenience. It has a huge direct impact on the lives of many, many users, those who rely on assistive technology, which in turn relies on the semantics it can parse from the text to help those users. If you've never tried to use the web with a screen reader before, please do. I think every web developer needs to do this periodically in order to better understand how many of their users interact with the web, and how honestly horrible a lot of the web can be for users who rely on assistive tech. If your site is built with nonstandard elements with no defined semantics, then the best that a screenreader can do is read the text top-to-bottom, with no way to let the user easily navigate the page. But if you use the elements I talked about in this article, a screen-reader can add build an outline of the page to give to the user, and it makes it a hundred times easier to navigate the page. In my experience, there's a tragic lack of attention paid to semantics in web development training, and this knowledge gap actively hurts the users that actually need it. That's a big part of why I wrote this article. Using semantic HTML and microdata formats improves the lives of many people much more directly than you might expect. Nonstandard tags, unfortunately, don’t, and I worry they may redirect devs away from the standard methods that do because nonstandard tags require fewer characters and zero research. Maybe I should have emphasized the a11y aspect of semantics more strongly in my article, and maybe I'll write a follow-up to do just that. But please, please don't think that I or anyone else is trying to enforce some arbitrary restrictions that stifle innovation by recommending that devs avoid nonstandard elements and use existing semantics frameworks instead. What I'm trying to do is help one of the most underserved and ignored groups of users on the web. This feels like a hugely under-appreciated comment, it’s a very good reply. I seriously think you can turn this comment into its own blog. Edit: I just noticed the date on it is 2011-07-22, so yeah, a v2 really would be good. But something bugs me : multiple <section> in one <article> ? When I learned HTML5 ~10 years ago, I was told the contrary, multiple <article> in one <section> (see alsacreations.com/xmedia/doc/origi...). Well, you can do both, depending on the scope of the tags. For example, I might put a tweet in an <article>, and I might show multiple tweets in a single <section>. But typically, on a site like a blog where you have literal articles or other long-form text, you'd have one <article> that wraps the main text content of the document, and that <article> would contain multiple <section>s. Let's look at the spec again. So the idea that an <article> can contain multiple <section>s seems natural to me. And in fact, the spec itself shows a code example under the definition of <section> linked above where an <article> has multiple <section> elements within it. I'm completely agreeing using semantic HTML. Usually I'm always trying to use the sectioning elements. But I'm observing that I'm still heavily using <div>s, inside of an <article> or <section>, especially when layouting with flexbox. I tend to create a lot of wrapping <div>s, for grouping together some elements as one flex child. It kind of feels unsemantic, but then again, since these are only used for layouting, it seems to be ok.
First and foremost, it's almost definitely fine! The point here isn't to totally get rid of <div>s, it's to stop using them in cases where they have some semantic meaning that's covered by another element. But generic containers with no semantics to them are exactly what <div>s are, so if they're just grouping things for styling purposes, not semantic purposes, you're all good! I just wanted to chime in on the CSS Grid discussion. If the only reason you aren't using CSS Grid yet is because IE11 needs to look identical; I wrote a whole series on how to write modern CSS Grid code that works perfectly in IE with no fallback styles. PS. Great article, I'll definitely be recommending it to people. I'm more and more trying to use Grid, you're right it is mindblowing. Right now I'm using it for overall page layout and flex for smaller sub items. I need to reconsider if nested flexboxes can be done with grid. I enjoyed this refresher and I agree there's more to markup than divs. With that said, the current crop of available HTML tags are a little confining. They seem biased towards newsy, bloggy, content-heavy sites (section, article, header, footer, p, aside etc). It would be great if there were a few tags aimed at web applications - tags like controlbar, preview, settings, livecontent, and user etc. I often find myself trying to map the meaning of some "thing" I'm working on to the nearest-matching standard tag. In the absence of more semantically appropriate choices, this all-to-often turns out to be a div. That's a pretty good point, and one that a lot of people have discussed in the last couple of years. As for most of the semantic tags being biased toward content-heavy sites, I'd say you're like 75% right. Tags like <p>, <aside>, and <article> are pretty specifically defined in terms of representing that kind of content. But some of the others, like <header>, <footer>, and <section>, while arguably still defined with content-heavy applications in mind, are IMHO still pretty useful for web applications if you focus on the idea of an "outline" for your site, and how that impacts accessibility in particular. Assistive tech like screen readers uses elements like these to build an outline of the parts of the page for the user, so you could still have the main interactive regions wrapped in sections, with <h1>-<h6> tags to label them, and <header>s and <footer>s where they make sense, though those are probably rarer, especially <footer>. As for introducing new elements that are more focused on web applications, I have three thoughts. First, I think this would be much more difficult than it might seem at first glance. How to structure and divide up the parts of a web application is pretty controversial even within a single team, let alone trying to standardize semantic markup for the whole industry. There actually have been some discussions about this, and several proposed (and even partially implemented) elements have been retracted; see <menu>, for example. Second, there already is a way to do this, though it's not quite as clean as semantic elements: the Roles Model, which uses the role="" attribute to define pretty specifically what elements in the page are for, and it has a pretty large selection of "widget roles" that are super useful within web apps. I also expect it would be 100x easier to add a new role than a new semantic element. Third, there is also another approach that's been floating around for a few years now and gaining some steam that will allow the community to develop and share these elements, maybe create some community de facto standards, without waiting on the W3C for it: Custom Elements. They aren't just for widgets: you can register custom elements to play semantic roles as well, if you want, and define some amount of semantics and behaviors for them. I haven't played with them too much, but have heard good things from those who have. As a final note, I just saw a super interesting thread on Twitter on a very closely related subject, then switched to Dev and saw your comment in my notifications. This is the first tweet of several, and I recommend clicking through and reading the whole thread. Thanks for your response. Of course you are right about all of it, but roles and custom elements seem a little verbose, if not downright complicated for app design and scaffolding. 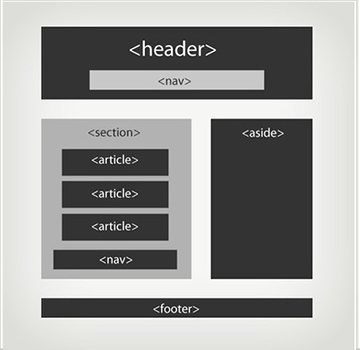 HTML tags are so basic by comparison - you can write and read and understand them immediately. I'm not saying the web needs to be simple - heaven knows it's not, but there is something to be said for brevity when it can be had. In my HTML fantasy, there would be just a handful of common, handy tags for web applications and I would be universally heralded and financially rewarded for my contribution to humanity. Well that's the awesome thing about custom elements, once they're written, they are just HTML tags. The idea with them is to pass them around like any other library. So hey, give it a try, write that fantasy set of web app tags, share them around and get your fame! However, I have strong and complex feelings on this, being interested in the semantic web since 2003 and remember ardently following xhtml1.0 strict standards. nav: oh wow how did we live through xhtml without it? Article, section and aside are so vague that they semantically mean about the same thing as div. You still have to drop identifying classes on them to actually note what they are intended to contain. Comments/assorted widgets/supplementary info can be articles, but also can be sections, but can also be asides or contain or be contained by any mixture of the above. I'm not saying div is the gold standard, but this is one area whatwg kinda dropped the ball. Semantically, it doesn't say what it is any more than div does. I'm not alone here, either. That's a very interesting perspective, genuinely, and I'll have to think more about it. An <article> should be used only for a high-level portion of the document that is sufficiently independent that if it were plucked out of your page and dropped into another page, it would still make perfect sense, like a blog post or tweet. A <section> is a block that doesn't meet the above independence criteria, because it only makes sense within the context of the surrounding content, but that you would list in your table of contents. An <aside> is, admittedly, a bit more vague: is a "note" block in the middle of your text an "aside"? I often use phrases in my writing like "as an aside, ...", but I wouldn't put the proceeding paragraph in an <aside>. So maybe its name is a bit misleading. But I still think it serves an understandable purpose: if I never read the content within the aside, I shouldn't be confused about anything in the article, but the content in it should either enhance my understanding of the content (e.g., example 13 in the spec adds background info about a country that might help an unfamiliar reader) or give me additional functionality, like a sidebar with links or buttons. I think this is sort of an inherent problem with trying to fit any rigid spec to human language: we want the spec to be written using words we understand, but human language is incredibly fluid and non-rigid, so there are bound to be confusing cases where its unclear which element to use, etc. But I still think there are clear black and white areas, even if there are lots of grays in between. All that said, I'm interested to hear your feedback, and I'm very interested to read more about the problems people see with the spec; it should be helpful in explaining it better down the line. Thanks for pointing this out to me! I think part of the issue we run into is that the human language being used to describe this is specifically the language of print layouts like newspapers or magazines. That language was far more known back in the late 90's early 00's but more and more developers are going to be seeing this through web-first eyes. Your explanations are spot-on though. Even with aside, while we might see it as vague in its contents, you nailed the purpose. Thanks! And yeah, I agree, the farther we get from the days of mostly-print-media, the less obvious the metaphors become. I also think with <aside> specifically there are sort of two competing metaphors: the "sidebar" layout element, and the semantic "aside", for tangential info. These are really two very different things, but the spec currently allows for both, which is confusing. As I understand it from some googling, the spec initially only allowed for the semantic usage, and did not recommend using <aside> for sidebars with content unrelated to the main content, like navigation links, etc. But the spec was later amended because of common confusion and the perceived need for a sidebar element to explicitly allow both usages. I'm unsure how I feel about that move. If you think of a magazine or newspaper article it makes more sense. Things like a byline, publication date, subtitle, those are all still part of the header for that article. You would want to group them semantically. thanks for writing this! i'm just starting out with html and i totally thought the convention was to throw divs in everywhere--glad to have these other options, especially early on! Wow, I wrote almost exactly the same article! Sorry for unintentionally ripping you off, haha! Thanks for this. Was about to go crazy with divs for my site but now my CSS is show much easier to understand than if I carried on using divs for everything. Great article! Would you wrap your "cheesy content" inside any kind of element, or just have it as text alongside ? like my text wall illustration. Do you think there's any value to that? If so, is there a better element than div here? Or should I just get over myself? There's nothing semantically wrong with an extra <div>. I probably should have made clearer in the article, <div>s aren't bad, and there's nothing wrong with using them, just as long as the correct semantic elements are used where their semantics apply. The sort of <div> you're describing doesn't have any semantics to it anyway, so a <div> works fine if you prefer it, and can be useful for layout purposes as well. That might give you the consistent feel without needing the extra <div>, if you're worried about it. Any of the three options is fine: <header> + <p>s, <header> + <div>, <h2> + <p>s. Yes, I like <h2> <p> <p> better, thanks. The primary reason I feel in love with these tags (and more in HTML5) is actually because of CSS. The styling becomes SO much easier and cleaner to read, too! Plus doing query selectors from JS as well. To use the main tag properly it should be used like void main in C++, there can be only one! Nice. Make it more readable and clearly. Great and informative article! While using this kind of structure I sometimes struggled with adding css on these elements because depending on the design I would need to style sections or main elements etc. But I've researched that some of those elements shouldn't really be styled directly so then I would have to wrap a section over a div? Or what would be the best practice while thinking of styling all these different html5 elements? Very, very good post. I will definitely write better code from now. Thank you. By the way, the community on dev is great. Thanks! Glad I could help 🙂And yeah I agree, one of the most constructive and beginner-friendly places I've found! You're right, fixed! Thanks, good catch! Using this "new" tags, should we be anyhow concerned about compatibility? This is included in most CSS reset files, which I strongly recommend if you're dealing with very old browsers, so you probably won't have to di this by hand anyhow. As always like before i was thinking about div is good instead of anything. thanks man!! wow! so later the css use directly the tag instead of the class? Yeah! IMHO, it's better to use more generic selectors in your CSS as often as you can, because it makes them easier to override later. Being too specific with selectors is what leads people to slapping !important everywhere, because they're having a hard time overriding those super-specific selectors.